Notch display design has quickly become the new trend in the smartphone market and we have seen it been widely adopted by the Chinese manufactures. Now today the latest live image leak of the upcoming smartphone from Samsung suggest they are also working on a smartphone with notch display design. 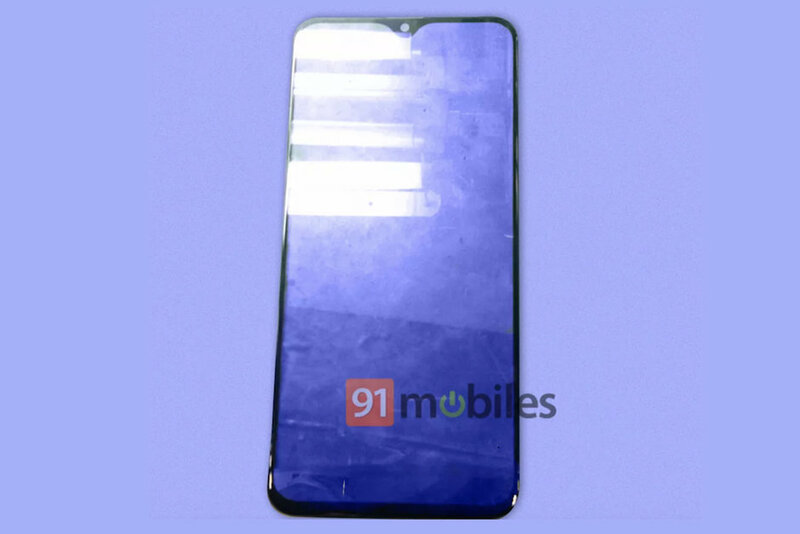 According to the leaked info aforementioned smartphone is likely to be called as Samsung Galaxy M20 and will have a water drop notch display, which would make it the first smartphone to have Notch display design. Recall Samsung earlier this month has revealed four new displays with (and without) notches, which is expected to be implemented by next year in all of its smartphone lineups. Out of the display designs showcased the Infinity-V and Infinity-U are likely contenders for the mid-range and budget offerings and the design on the M20 seems to be Infinity-U display. The Korean Giants has recently lost their superiority in the mid range Smartphone segment which is now dominated by Chinese manufacturers. Samsung's Flagship Smartphone like the S & Note Series are also not making big moments in the markets like India. By introducing M series Samsung hopes to make a comeback to the mid range segment and thereby increasing its market share in the countries such as India and China .The latest leaks suggest M20 would have a 6 inch display,4 or 6gb of ram 32 or 64gb Internal storage and will run in Android 9.0 Pie and new Samsung One UI .There will also be triple camera on the back and single cam in front .